Not all mattresses are equal, and finding the right one for you can contribute to a deeply restful and invigorating sleep. Searching for the perfect mattress is not that difficult, especially if you’re armed with all the right information that you need to make a wise purchase. The Brentwood Intrigue 7-Inch Quilted Inner Spring Mattress is just one of the many that you can purchase for your bedroom. 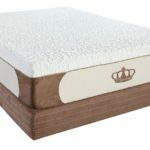 Taking a closer look at its product features as well as the pros and cons that other people see for this mattress will help you decide whether this purchase is something worth making. What makes this mattress stand out from the rest? 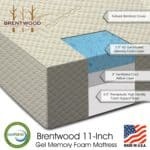 Brentwood is known for quality natural products that have been handcrafted in the United States. Some of the materials that Brentwood products are made of include bamboo, organic cotton, wool, kapok, organic latex, and soy wax. A family corporation that has handcrafted products for over 30 years in Los Angeles, California, the Brentwood stamp of this mattress already sets it apart from the rest of the other mattresses available out there. More than your average mattress, this one stands out because of natural and handcrafted qualities. Durable 13.5 gauge tempered steel coilsThis 7-inch mattress comes with durable steel spring coils that are responsible for long-lasting support. When you purchase any kind of mattress, you have to look at how long this mattress will actually last the test of time. 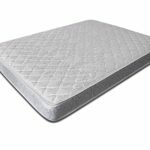 These tempered steel coils add to the durability of the Brentwood Intrigue 7-Inch Quilted Inner Spring mattress, so you can definitely count on it for the therapeutic support needed by your body. Padded upholsteryProtecting the coils are layers of insulation, but apart from that you get multiple layers of padded upholstery to give you comfort. The padded upholstery taken together with the plush quilted surface of the mattress gives you an extra cushion, which leads to just the right amount of comfort. Even with these padded layers to give you comfort, you don’t have to worry about volatile organic compounds (VOCs) because of the way this mattress was carefully handcrafted, with only high-quality materials. Meets federal flammability standardsTrue to its commitment to quality products, Brentwood has also made sure that this mattress meets Federal Flammability Standard 16 CFR 1633, administered by the U.S. Consumer Product Safety Commission (CPSC). This means that this mattress is truly safe to use, and you can literally and figuratively get a good night’s sleep knowing that you have this kind of mattress in your bedroom. Comes with a 1-year warrantyIn the rare case that you are not satisfied with the purchase or you find a defect with the materials or workmanship, then fear not because this mattress also comes with a 1-year warranty. This means that you can call customer service for any problems within the period of 1 year from the time of purchase. 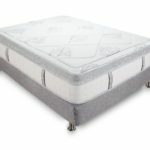 Whether you’re a homemaker looking for different mattress options to suit the different needs of your family members or a single young professional looking for a twin mattress that can fit snugly in a studio, this mattress will benefit anyone looking for a comfortable mattress that is capable of giving them a good night’s sleep. This mattress is also beneficial for those who are particularly concerned about the materials used in making the things they use at home. 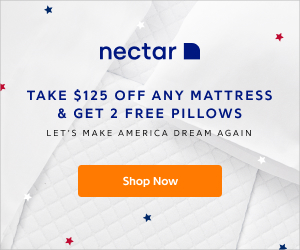 If you feel very strongly about using only natural materials and if the handcrafted-in-the-USA quality is something that really appeals to you, then this mattress could be the one your’e looking for. 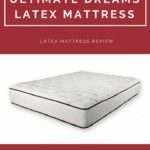 Given those pros and cons, those who have already experienced this mattress for themselves are quick to sing praises for it especially considering its cost, and on Amazon it has a high rating of 4 out of 5 stars. Given that it’s a mattress that you can get for below $100 (and just a little higher for bigger sizes), then customers are satisfied because the comfort it comes with is something you don’t really attach to that value. Customers mentioned that if they ordered a $1,000-mattress then the expectation on quality would be different, but for its price, this mattress is a winner. 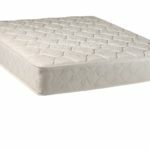 While users are generally satisfied with the amount of comfort that this mattress can give, some just find the 7 inches a little lacking, perhaps because they are used to thicker mattresses. 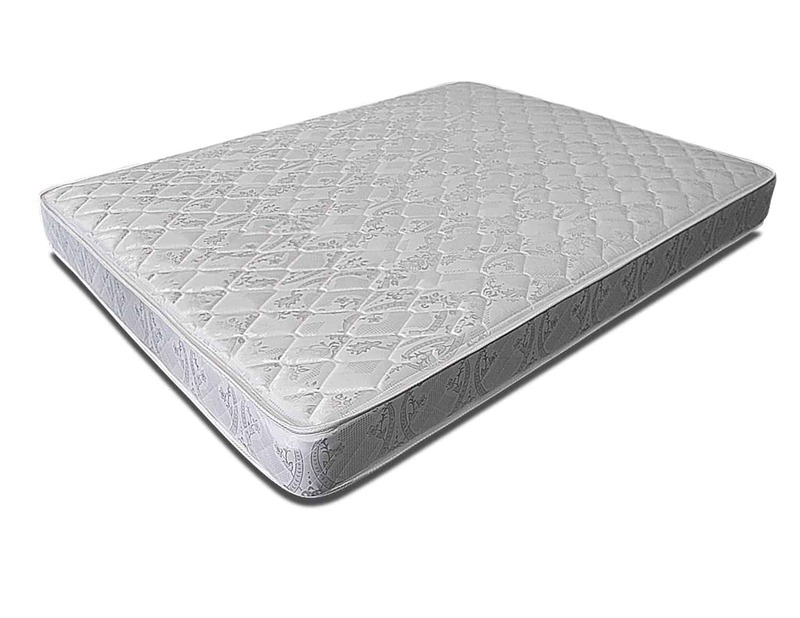 However, most users agree that the mattress is comfortable enough, and gives just the right amount of firmness needed. Also, they have remarked that if you sleep on the mattress for a long period of time, you’ll wake up refreshed and you won’t feel any body aches that you may feel as a result of sleeping in other poorly-constructed mattresses. Many have also commented on how fast and convenient shipping is, mentioning that it comes in a pretty neat rolled-up package. What makes this mattress great is the kind of quality that it gives you for a minimal cost. If you’re okay with a 7-inch mattress considering all the product features that have been outlined, then this could be an option for you. 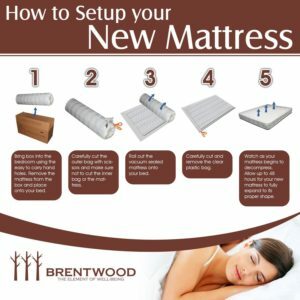 If you’re one of those people who not only look at the quality of the product but also consider the company that made it and how the product was made, then Brentwood Intrigue 7-Inch Quilted Inner Spring Mattress will really appeal to you because it meets all of that. Just remember that this is a relatively cheap mattress so while the comfort level is acceptable, you shouldn’t expect the same 5-star comfort you would expect in a mattress that you would pay $1,000 for. The strength of this mattress is in its value, and it’s a great budget mattress that can still meet your requirements if you’re not too picky with mattresses. Having said that, this mattress will be perfect for filling your guest room. If you’ve read through all the qualities of this mattress and you find all of them satisfactory, then you may even purchase this for your bedroom and have the long, restful sleep that you’ve always dreamed about.